If you enjoy Korean cuisine, especially spicy Korean pork, it's important to be on top of your marinade game, which you can perfect with this easy and delicious recipe. 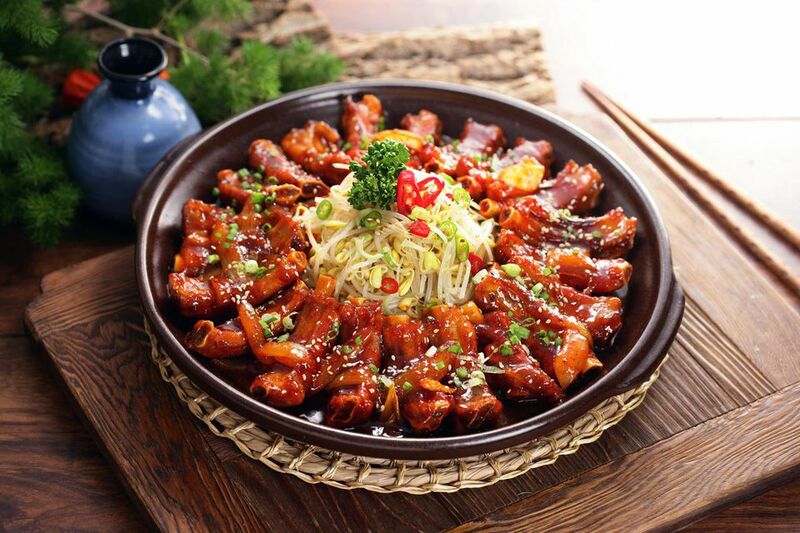 In Korean, spicy pork is known as daeji galbi. And this marinade is the perfect accompaniment for it. That's because it's not only sweet and spicy but also good for making any pork grilled ribs. Use this marinade for stir-fried pork as well as broiled or barbecued pork (which is known as daeji bulgogi in Korean). The recipe for this marinade is designed to make 3 pounds of pork ribs with bones, but you can easily make more. Double, triple, or even quadruple the recipe to serve a large number of people or to save time the next time you make ribs or other thick cuts of meat. Instead of making a marinade all over again, just set some aside this time and freeze it. When you need a marinade again, thaw the mixture and, voila, you've got marinade. If you're a busy career professional, a working mom or dad or work long hours that making cooking difficult, consider freezing the marinade for future use. 2 tbsp of minced garlic. To make this marinade, you'll need to mix the ingredients until they are well blended and evenly distributed throughout. Rice wine and red pepper paste may be hard to find, depending on where you live. You may want to visit an Asian or Korean specialty grocery store in your region or search for these ingredients online and then order them from a specialty retailer. Also, if you have diabetes or a condition that requires you to control your blood sugar, you may want to lower the amount of sugar in this recipe or check your blood sugar at the appropriate time after sampling this marinade with the pork ribs or another dish. Once you've made the marinade, use it or serve it immediately or store in your refrigerator. If you've tripled or quadrupled the recipe for this marinade because you want to use it for other cuts of meat, such as beef or chicken, set some of the mixture aside and put it in your freezer. Remember to use a freezer safe dish. Glass can crack when frozen because liquid expands when frozen, causing it to grow too big for the glass and shatter it.